An interview based story on how a Dutch mobile phone Fairphone 2 gets a Finnish operating system Sailfish OS via great community involvement. Two communities wanted this to succeed. Two companies wanted that too. And it did. 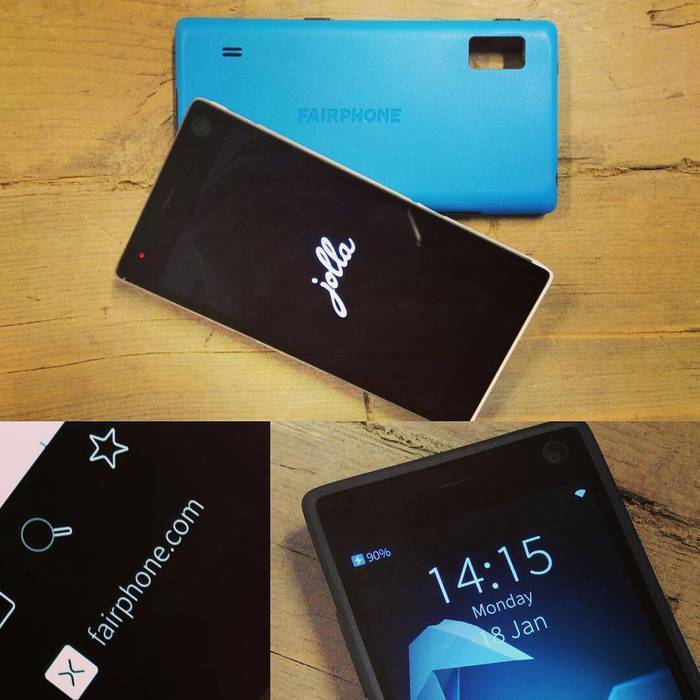 Jolla and Fairphone shares their comments below as well, both of them supporting this unofficial project. Linux based mobile operating system running on a smartphone with 5" Full HD Display, Quad Core 2.26 GHz processor, 2GB of fast RAM, WLAN, 4G, FM radio, and last but not least the hardware carrying an ethical story sounds pretty cool, right? Well that's already true, and available sooner than you might guess. We are witnessing a birth of an European flagship smartphone+OS combo, and believe it or not, this birth is delivered as community contribution with two companies supporting the project. I had an opportunity to interview the most of the individuals and both the companies involved in an unofficial project of porting Sailfish OS for Fairphone 2. During the interviews I was touched by a great deal of the enthusiasm of many great people. I hope my writing skills have developed enough to forward at least part of that feeling to you. 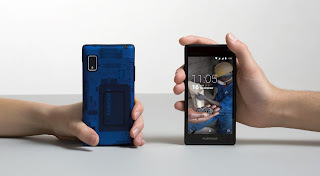 Fairphone 2 is a Dutch mobile phone carrying an ethical story. The earlier version of their phone is in the pockets of fair 60 000 users, and Fairphone 2 was just recently launched. But Fairphone hopes that you wouldn't buy a new phone before your current one reaches its end of lifespan. Fairphone sells phones, but for them these are more platforms to introduce a bigger story. They are actually marketing open supply chains, customer enabled repairs, access to spare parts and good recycling. You could actually change the display of this smartphone without a screwdriver! Fairphone is also reaching towards longer lifespans in consumer electronics in general. This financially independent social enterprise is located in Netherlands, currently having some 40 employees. WeAreFairphone is an active community of Fairphone owners, fans and hackers. They played an important role giving the starting shot for the whole story below. 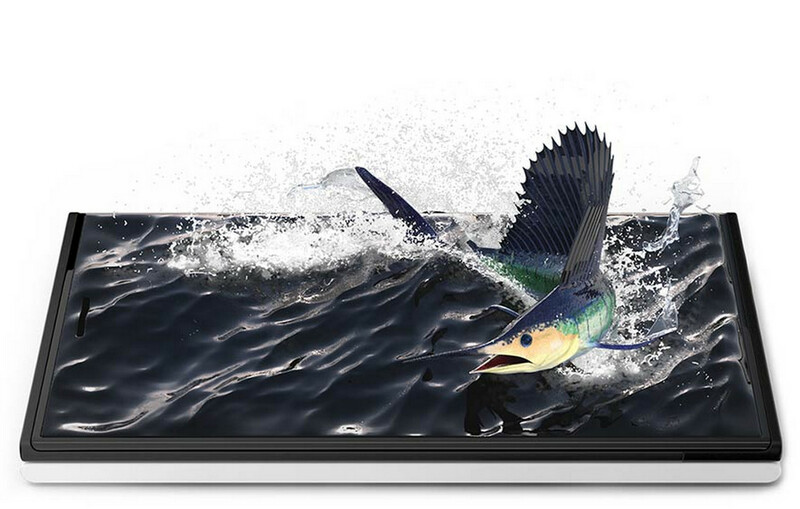 Sailfish OS is a Finnish mobile operating system focusing on user experience and privacy. It's developer friendly, allowing for example access to the system files via a built in Linux terminal. About 80% of software packages on Sailfish OS carries an open source license. Jolla develops this OS carrying a fair promise not to sell any user data to any 3rd parties. Unlike Fairphone they are not financially independent, and their promise to open source their operating system even more has had several setbacks, last one being a financial crisis in the end of 2015. They survived through that but it affected the company a lot. They are currently focused on licensing and tailoring their undeniably great, but yet young software for 3rd parties to reach a steady income. 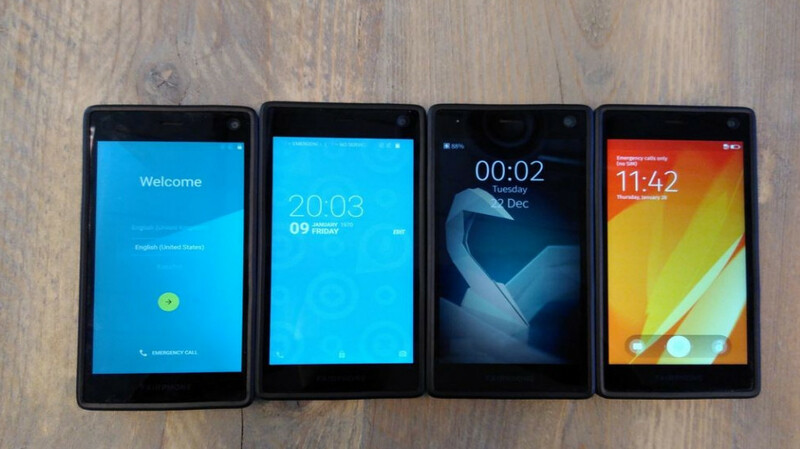 The SailfishOS-porters community contributes voluntary on getting Sailfish OS running on several different devices, and in this story on the hardware provided by Fairphone. Porting is done unofficially, yet in co-operation with both of the companies. First of all, this is all unofficial, but supported also by people in two companies involved. Fairphone 2 is officially shipped with Fairphone's own version of Android, an American operating system developed by Google and Open Handset Alliance, topped with Google's proprietary services. This is all nice for a familiar user interface, but by no surprise not all Fairphone fans saw this ideal on an ethical phone. 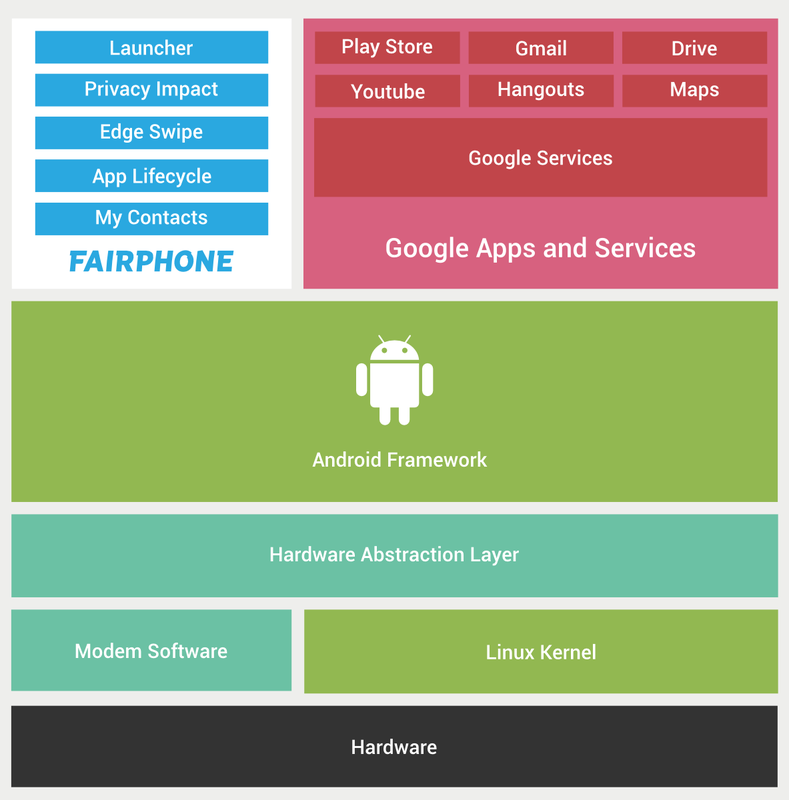 As alternatives, Fairphone is helping their users to build an open source version of their operating system, stripping down for example the proprietary Google Play Services, or guiding their users to change the whole operating system to whichever they'd like. For example Sailfish OS, how nice of them! This project got its motives and goals from the WeAreFairphone community. 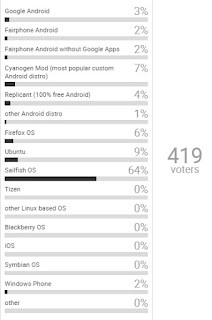 A poll was introduced on Fairphone 2 user forum and Sailfish OS gathered an insurmountable success on that. Following their ideology, Fairphone was in contact with the Sailfish OS community and more than happy to respond to their fans soon after with this blog post. The sailfishos-porters community was already involved in several successful projects replacing original Android based operating systems with Sailfish OS. 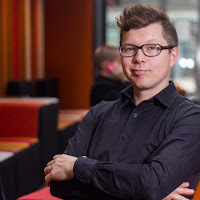 Matti Lehtimäki, talented porter also behind Sailfish OS for XPeria models, among few others had now received a phone and tools from Fairphone to test with, and porting Sailfish OS had started. Matti did the most parts in this port. He drives to fully support every bit of hardware the device carries. But hey, there's an FM radio chip too on fp2? "The possibility to include an FM radio software to the released images looks quite promising. I have made a small command line program that can search and tune FM radio and I have managed to get audio from the FM device in pulseaudio and record it in another app. Quite a lot of designing and programming is needed to make a proper graphical application but no blocking issues are currently known so it's just a matter of time. ", hopes Matti. "Thanks to the openness of the device and the cooperation of the Fairphone guys it was as easy as pie to get it booting to Sailfish," Vasil happily shares. Of course there was a lot still to be fixed at that point. WLAN didn't work. Cameras didn't work. One couldn't even make a phone call on the first port. But these guys are really bad in giving up. Simonas Leleiva, great sailor strongly involved into this community had his own tips to share, and he also knew just the right persons to contact on different issues. "I've found the porters community helpful in my work related stuff as well, so it's a win-win situation to join such efforts," says Slava. "Well, kernel was not that hard, just a bit time consuming and a bit of guessing which hw actually is in the fp2. For the co-operation I think most of it went smooth and a lot of the progress was due to Matti's enthusiasm," Philippe shares. "We are currently talking with Fairphone people on when and how to release the first public images, there are couple of issues to be solved that make installation not very user-friendly. ", Matti finishes. RJ: How has the collaboration with Sailfish OS porters been in general? Two active parties involved? "Fairly recently we started testing out the build (and helping debugging it). This week we made our first phone calls. That was an awesome moment! ", he continues. RJ: Which have been the most challenging questions the community has represented to you while working with your devices? "We released early hardware and had to keep the community updated on major changes while the initial port was happening. Overall the developers are very skilled and do not need much help at all," Kees happily shares. RJ: There are some commercial parts in Sailfish OS which can't be delivered in a community ported version. Is it possible that Fairphone 2 would also be officially sold running on Sailfish OS, for the full end user experience? "Once the port is complete it is the next logical step to offer customers a choice when they buy the product. The major challenge here is how to support our customers given the company (and customer support) are so far setup to support Android and supporting a second operating system would require a lot of additional capacity. Most likely only community support can be given at the first stage," Kees enlightens us. RJ: I've learned that Fairphone 2 has already started shipping. Where can people find them available? "The Fairphone 2 is currently available for pre-order in Fairphone’s online shop, as well as through selected retail partners in UK, Germany, France, Switzerland, Finland and Sweden. Pre-orders received in January are expected to ship in February 2016," Kees informs. RJ. Thank You for all this information and especially for your awesome support for the community. Any final words for our readers? "The success of Sailfish on Fairphone mostly depends on the users and the community. We are open for all," Kees finishes. RJ: What kind of help has Jolla been able to provide into this project as a company? "This has been strictly a community project on which some of our experts have joined as members of the community. They have not participated as official representatives," stresses Juhani Lassila, Head of Communications at Jolla. RJ: Which parts of Sailfish OS are missing on this port, due to that this is not an official project? "Users can activate a Jolla account to install apps via our Store and get our system updates over the air, but any commercial 3rd party parts like for example HERE Maps, Android support or MS Exchange sync can't be included in unofficial projects due to licensing reasons," Juhani points out. RJ: Oh, but how about having the full Sailfish OS user experience enabled in an official version in the future then? "Both parties are actually very interested on that, but I have nothing official to share on that at the moment," says Juhani. RJ: Well, we really wish all the best for possible co-operation for the future. For the end, would you like to share something more to the communities involved, both around Sailfish OS and Fairphone? "These kind of projects are great indication of the power in these communities, and we're more than thankful to everybody involved in this process. Future will tell where this leads us," Juhani finishes. An unofficial version of Sailfish OS 2.0 running on Fairphone 2 will be published by the community, but the steps to install might be challenging for some users. As per what was shared by Fairphone and Jolla officials above, it's likely that the end user must take the effort to change the operating system by her/himself for now. The version will most likely support all the hardware on Fairphone 2 including its Dual SIM and FM radio as soon as the final testing is done and the main bugs are fixed. 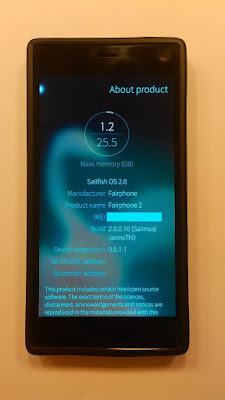 Users will have access to the Sailfish OS applications and system updates provided by Jolla, and all non-commercial 3rd party Sailfish OS applications. Sailfish OS is also capable to wake (power up) your Fairphone 2 when an alarm is due, even if you shut it down for night. Of all the ports done so far, this is definitely the current flagship device for Sailfish OS, carrying a Snapdragon 801 processor and 2GB of DDR3 RAM, and even an FM Radio. Find the full specs of the phone here. "Usage of Android software might become possible at later date because there are some open-source projects to add some Android-app supports. It's however difficult to say if/when those might become mature enough for inclusion in released images," Matti points out. 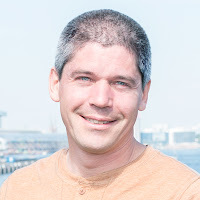 "I hope more people would become interested in porting Sailfish to new Android devices. It can take a lot of time but it's a very rewarding hobby," Matti wishes. Do you have an Android phone laying around and you know what "ls" stands for? To start porting Sailfish OS on it, you can start with reading the official guide provided by Jolla and join the others on IRC, channel #sailfishos-porters with any questions and for co-ops. Awesome people there, You'll be warmly welcome. 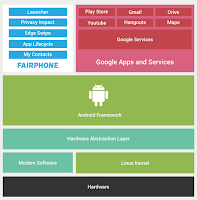 Fairphone's fair ethics and a smartphone with fair specs combined with Sailfish OS user experience and privacy is really an interesting European alternative. It's a great spec'd device with independent operating system not sharing every visited web address to a big American company. Balancing with the pros and cons including ideologies, ethics, price, lifespan and privacy the end users might find Fairphone + Sailfish OS as quite a perfect combination, some probably never going back to others. Support comes from the community in the beginning, which is most likely just great, but some people say it's the apps that matter the most and there are currently not many for Sailfish OS. 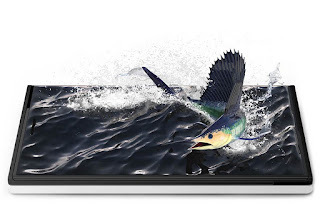 Success of Intex Aqua Fish, another Sailfish OS phone entering the markets in India soon, might boost some app development - but then again it might not, as this official phone will run also the majority of Android apps, and Jolla hasn't yet found great ways to support Sailfish OS app developers in their profiting. To make this a success story, I have a strong feeling that there are already enough of people willing to know where their mobile phone originates to and how their personal data is handled. For the future of ethics in the mobile industry please do consider this combination as your next phone, and do share this post for awareness. Nice blog post. Only one minor point: Fairphone is designed in The Netherlands, but manufactured in China. When Puzzlephone is ready, this will be the only Entirely European smartphone, because it will be made in Europe and it will be possible to install a community driven Sailfish. Who knows why Jolla does not give a license for a complete Sailfish to these companies? Thank you for sharing this! We should have know those names. Cheers to open-source community and great porters! It was great to read your take on fairphone 2 + sailfish os. 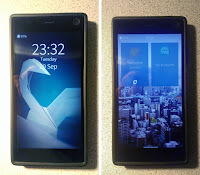 I am looking very much forward to receiving my ordered ff2 soon and am very interested in sailfish os. But as you pointed out: on mobile systems it's all about apps - and so it needs to be possible to use android apps to boost usage of sailfish os on devices like fairphone. I won't switch to sailfish neither as long as android apps cannot be used. That is a nasty circle: OS not widely used, less interest on app development, OS spreading slower. The OS itself does bring a great user experience in my opinion (Jolla Phone user), and that will hopefully attract developers. Especially social media apps are quite an essential part of a communication device. On the other hand: Privacy oriented people do check which one of those they want to use. Did you people read the latest on WhatsApp enabling transferring user data to FB? How many of you find that nasty? I would go for this, but also interested in seeing if the Turing phone running Sailfish comes out soon.